Wendy Teramoto, the agency’s chief of staff, has maintained the investment in the wake of calls for an investigation. This story was co-published with Forbes. Teramoto previously worked for Ross at his private equity firm WL Ross & Co. She invested in funds that held Navigator stock, as well as owning shares directly, and also served on the board of the shipping company from 2014 to July 2017. From 2014 to 2016, Navigator did $68 million worth of business with a Russian petrochemicals company named Sibur. That company is partially owned by two billionaires in Putin’s inner circle, Kirill Shamalov and Gennady Timchenko. In its annual report filed in March, Navigator said Teramoto directly owned $118,000 of the company’s stock. The Commerce Department spokesperson confirmed that Teramoto had not sold her Navigator stake or interests in WL Ross funds that held other shipping companies, such as Diamond S. Shipping. One of the most valuable assets listed on Teramoto’s financial disclosure form, which she filed in July, is her carried interest — a cut of the managers’ profits — in a fund called WLR Recovery Fund IV, which she valued at between $1 million and $5 million. An examination of that holding demonstrates how easily Teramoto’s portfolio could pose conflicts of interest. If those funds perform well, they will make up a significant chunk of Teramoto’s net worth. In total, she listed personal net assets worth $6 million to $19.3 million on the disclosure. Teramoto’s role inside the Commerce Department — and when she signed on — remains a bit of a mystery. 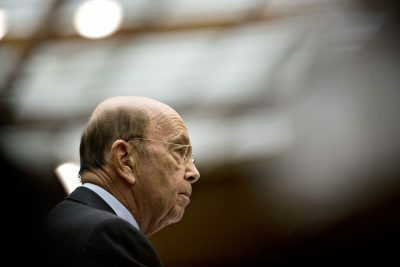 In May, Ross referred to her as his chief of staff in a taped interview with Bloomberg, at a time when the Department of Commerce now claims she was not yet a full-time employee. Two months later, Teramoto filed a financial disclosure report listing her position as a “senior advisor.” A spokesperson for the Commerce Department said Sunday that she did not become chief of staff until Aug. 1. “The Secretary must have misspoken,” the spokesperson said, when informed that Ross had publicly called her his chief of staff three months earlier. 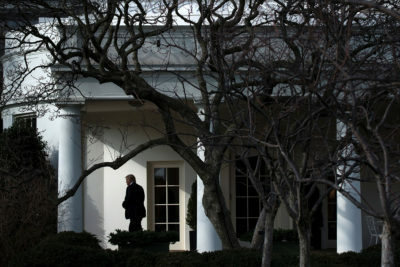 The administration continues to quietly hire political staffers — more than 1,000 so far, many of them regulating industries they previously worked for — but we’ve uncovered more identities. “The swamp continues,” says a Trump campaign official who is now a lobbyist. The timing of her official employment with the Commerce Department is all the more critical given that Teramoto remained on the board of the private company until July; it raises the possibility that she was a high-ranking official in the U.S. Department of Commerce at the same time she was on the board of a company doing business with Russians.